The Aotea canoe was captained by Turi, who left Hawaiki after a dispute with the chief Uenuku. Ōriwa Tahupōtiki Haddon of Ngāti Ruanui was a descendant of Turi, and a well-known artist. 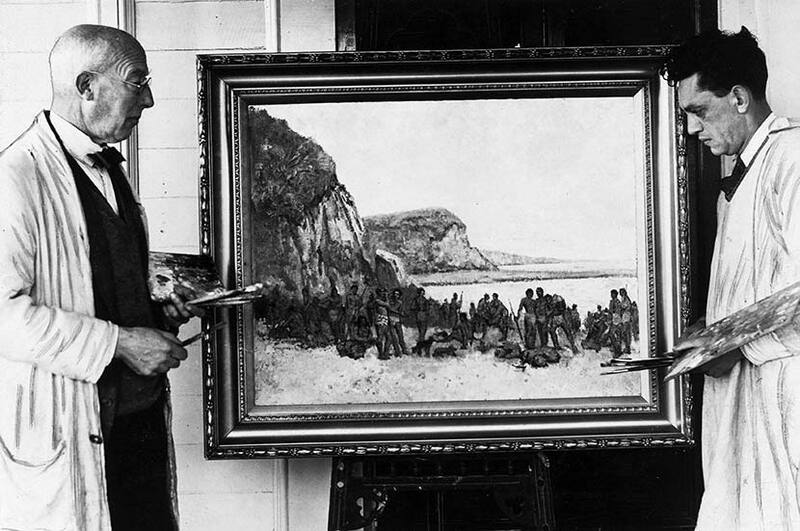 In the photograph he stands with fellow artist Charles Duncan Hay-Campbell beside their painting of the arrival of Turi at Pātea. The photograph was taken on 2 August 1933.